KOZHIKODE: Calicut University syndicate has sent the director of the varsity physical education department V P Sakeer Hussainon compulsory leave for failing to implement the decisions of the varsity anti- ragging committee which inquired into ragging complaint submitted by first year MPEd students and for allegedly sending a fake report to the UGC on the issue. The syndicate meeting held on Wednesday took the decision after concluding that preliminary examination of the incidents revealed that Sakeer Hussain had failed to implement the directives of the anti- ragging committee even ten months after it directed action against the senior students of the department who allegedly perpetrated the ragging. The syndicate has also set up a four member inquiry committee to investigate into allegations that Sakeer Hussain had sent a fake report to the UGC anti- ragging cell in this regard and the report of the varsity anti- ragging committee along with the complaint by students was not forwarded to the police for further action. The syndicate inquiry committee comprises K K Haneefa, R Bindu, T M Vijayan and C L Joshi. The committee will submit its inquiry report before the syndicate by July 2. The issue was raised in the meeting by student representative in the syndicate Shyam Prasad. SFI activists barged into the administrative block where the syndicate meeting was underway demanding strict action against Sakeer Hussain. Three first year MPEd (Master of Physical Education) students of the campus were allegedly subjected to ragging in June, 2017 by senior students of the department at the varsity hostel. The anti- ragging committee which looked into the petition by the students had recommended action against the accused students including withholding of their examination results. Students alleged that the report of the anti- ragging committee was not implemented by the director. UGC had sought explanation from the varsity on the complaint by the students. Meanwhile Sakeer Hussain said that action against him was politically motivated and that he had constituted a department level inquiry committee on June 19, 2017 itelf and had submitted a report to the varsity dean of student welfare. He also refuted charges that he had sent a fake report to the UGC about the raging incident. 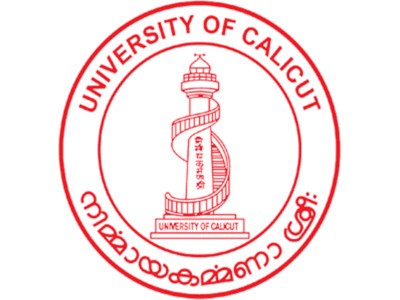 Calicut University Teachers Association (CUTA) has condemned the decision to sent Sakeer Hussain on compulsory leave saying that the syndicate has taken the decision completely yielding to political pressure of a student’s group. “The decision is against the principals of natural justice, academic freedom and democratic values,” T M Vasudevan, president of CUTA said in a press release.